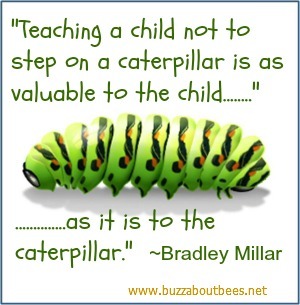 Help children retain information about bees, and get the mind working generally, through puzzles and activities! Buzzled is a Bee-themed Junior Puzzle Book for children (Ages 7-12 yrs). It contains over 100 puzzles and activities all on the theme of bees, and contains many educational puzzles too. This is not simply a puzzle book with pictures of bees all over it. For example, there's a puzzle looking at the inside of a mason bee house, one about places where bumble bees might nest and so on. Lots of general facts are given throughout the book. In other words, this really is a children’s book about bees, but with a difference, since the puzzle element helps to reinforce an educational message, often in a very subtle and way. For example, this puzzle is on the back cover (this is the image shown on Amazon). 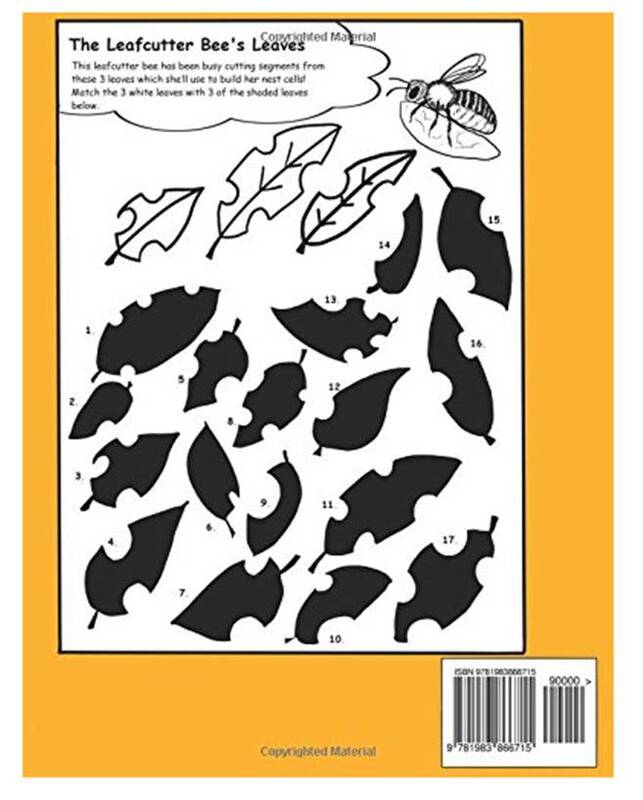 It combines the message that the leafcutter bee uses neat segments of leaf to make nest cells, with a 'conventional' kid's puzzle element of identifying the leaves used among the silhouettes beneath. There is a further puzzle that will teach children how to discern when a leaf has been cut by a leafcutter bee or other insect. 'Find' puzzles, and puzzles where you have to find objects in a picture. The puzzles vary in the range of difficulty, but the puzzles are not arranged in order of difficulty with the most simple puzzles first, and more difficult puzzles later. This means kids won’t get so far in the book, then put it down and feel discouraged that they can progress no further. It’s a good thing too, to mix up more challenging activities with more fun, relaxing ones. The Buzzled Bee-themed Junior Puzzle Book is available from Amazon. This is a children’s book about bees that comprises both a fun element with education - learning without the classroom. It's ideal to take on vacation, occupy the kids in the car, something for a rainy day, a gift - or just for the sake of it! Regular visitors will know that I am very, very, VERY keen to promote awareness of bees among children (due to my own experience). How Else Can You Inspire Children? Activities outdoors, from simple observation and conversations about bees foraging on flowers, or watching bees in bee hotels, can help to inspire interest and create the next generation of conservationists – or at the very least, kids who appreciate wildlife. After all, we look after the things we value. You can read more about inspiring kids here. Nowadays, there is growing awareness about the value of bees and other pollinators. But what can you do to inspire kids when it’s raining outdoors? That’s where children’s books about bees are of course, a great help!